There were 674 press releases posted in the last 24 hours and 153,487 in the last 365 days. 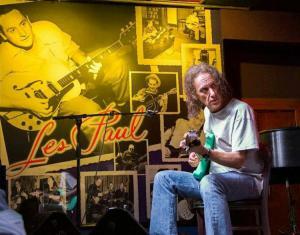 ASHEVILLE, NC, USA, December 7, 2018 /EINPresswire.com/ -- Legendary guitarist Scott Henderson will take you through the basic steps to improvisation and general organization on the guitar. Over 10 weeks, you’ll learn to use scales and their modes, chord tones, rhythmic ideas, motifs, and chord voicings, all with the focus on musicianship and artistry.